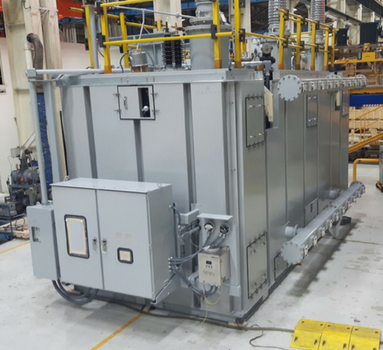 For more than 30 years, the gas and power industry has trusted MECART solutions for transformer enclosures and screens, generator enclosures, modular acoustic buildings of all kinds and soundproofed electrical rooms. MECART acoustic panels are configured and assembled to fit any type of installation whether for indoor or outdoor use. These are built to isolate noise coming from power transformers, synchronous compensators, and other noisy equipment. 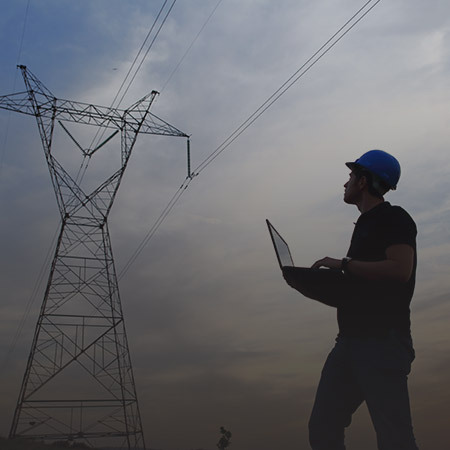 Our acoustic solutions protect maintenance workers or neighboring facilities from noise generated by power stations. Not only are the technical and acoustic requirements for these types of buildings often rigid and complex but they must also take into account many modes of transmission of noise and vibrations. This is where MECART’s expertise is sought out. Our experience paired with the flexibility of our acoustic panels allow a robust customized design adapted to the highest requirements. 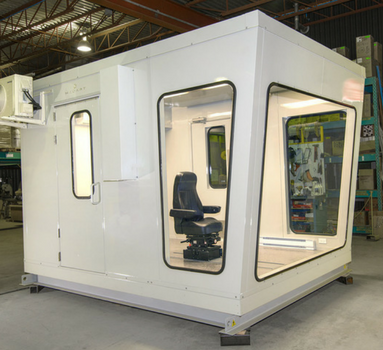 MECART has the acoustic expertise to engineer and manufacture high performance products for specific applications no matter how complex and precise the technical requirements. We are equipped to meet all challenges, big and small! Our proven designs and know-how enable us to meet sound attenuation (25 to 70 db) requirements and to deal with both high and low frequencies. Vibration damping structures are also part of our expertise. Request a free preliminary acoustic analysis for your project! 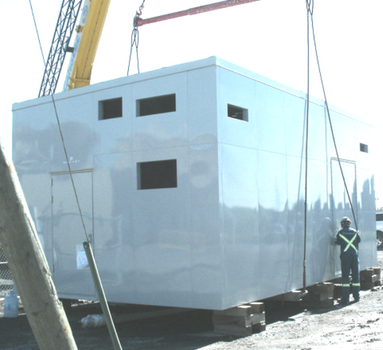 MECART enclosures, screens and modular buildings are tailor made for each project. This gives us the flexibility to engineer the design according to your needs: positioning and dimensions of openings, access doors, windows, removable panels, anti-vibration systems, oversized acoustic doors, integration of mechanical and electrical services, lighting, plumbing, earthing, air handling systems, high-performance oversized silencers, etc. MECART enclosures, screens and modular buildings are suitable for outdoor use and have a life expectancy of 25 to 50 years. Access and removable maintenance panels are designed to be waterproof, acoustic and weatherproof. Our enclosures and screens are grounded and completely non-combustible. Acoustic barriers for the gas and energy industry often require oversized doors to allow access to trucks or cranes for equipment maintenance. 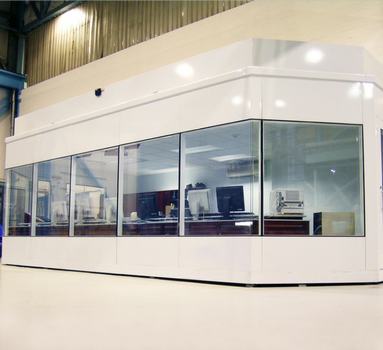 These oversized doors must, however, have a high acoustic performance and be planned in the engineering stage so the acoustic performance of the enclosure is not compromised. In the gas and energy industry, removable panels for the maintenance of part or entire equipment are often required in barriers, wall-screens or enclosures. These may be simple access hatches for removable sections or the entire enclosure. These openings must be designed properly so as not to compromise the acoustic performance of the enclosure since any opening is a possible entry for noise. The water tightness and weather resistance of these openings are also important in the design and manufacturing. In order to maintain a certain temperature and provide air for combustion, the enclosures used in the gas and energy industry must often be equipped with HVAC air treatment systems and high performance silencers which complicates design and manufacturing. Generator enclosures particularly need good acoustic treatment because of their many openings (for inlet and outlet of gases), not to mention the importance of having an adequate air intake for the combustion and cooling of the engine. High-performance and oversized silencers are also required.